Skype, known for its voice and video chat services gets two more tools for Android users. The latest update in Skype for Android will allow you to schedule calls and Open Microsoft Office files. Microsoft had already introduced scheduling feature in Outlook app for iOS and Android in an update that was released last week. 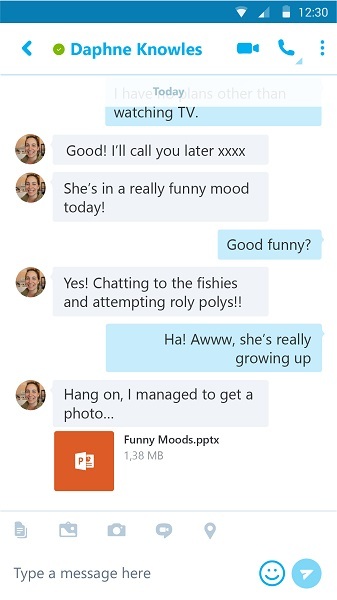 The update in Skype will allow you to schedule calls in Outlook from Skype. In order to schedule a call, users will have to tap on the person whom they want to call and select “Schedule a call”. Skype says that you can schedule the calls even though you don’t have an account in Outlook as this feature will work fine with any calendar app. At the same time, users will be able to open Office documents like Spreadsheets, Presentations and Word documents that are received in the group or private chats. When you receive any document file in your chat, tapping on that file will open the corresponding app to view it in your Android smartphone. Say if you don’t have the app installed in your phone to view the document files, Skype will then instruct you on how to download and install it. 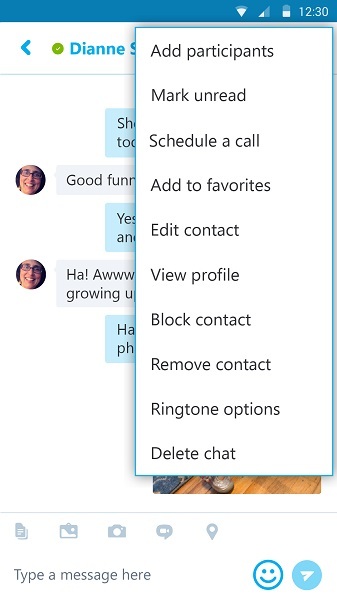 If you don’t find these features in your Skype, see whether the latest update is installed or not in your smartphone. Last week, we reported on Skype’s real time translation feature for Windows users. The addition of these two features (scheduling calls and opening office files in Android) reveal that Skype is more focused on its productivity. Therefore we can expect more updates on Productivity to be rolled out by Skype in the days to come. Let us know what you think about these two new features in your comments. Also Read: Skype introduces group video calling feature for its mobile apps.